Cameras have now become the next best portable and must have gadgets after cell phones . Not just digital camera , Today’s consumers have taken a strong liking to DSLR camera too . a few years back DSLR were only to be seen with photographers and hobbyists . But today DSLR cameras have become common among most people , the reason being DSLR are more affordable nowadays than they were 3 to 4 years back . As DSLR camera are becoming increasingly popular , the cases of stolen and lost cameras are also increasing now .if you are lucky enough , anybody finding your lost camera can take help of the photographs in your camera to identify the you and send it back to you . But what about stolen cameras . 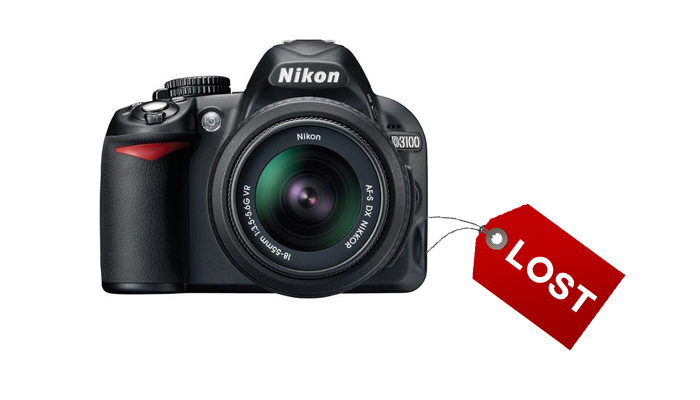 how can you get your lost digital or DSLR camera back ? It is possible , Let me explain you how it can be done . Since digital and DSLR cameras do not have features like Gps , WiFi or ability to connect to the internet . 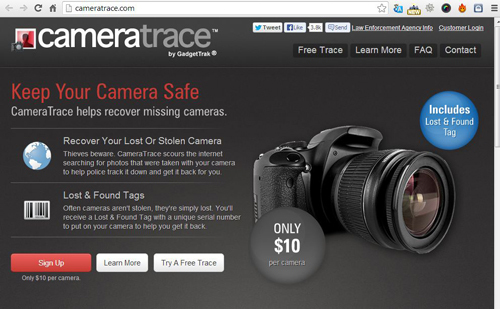 you cannot find or track your digital camera itself . But you can find images taken from your digital camera . Its a very good probability that if your digital camera is found , it won’t be laying idle , rather someone might be using it to take pictures . if the person is posting those photographs on to the internet . then there is good chance that you can find your camera . Just like your phone’s EMEI code , every camera has an unique serial number which is embedded into all the photographs taken by the camera in their exif or metadata information . using this serial number you can find out any photographs from your camera which are posted online . If you find any photographs apart from those taken by you , then you know where your camera is now . The best part is there are a few websites online that can help you out with this . 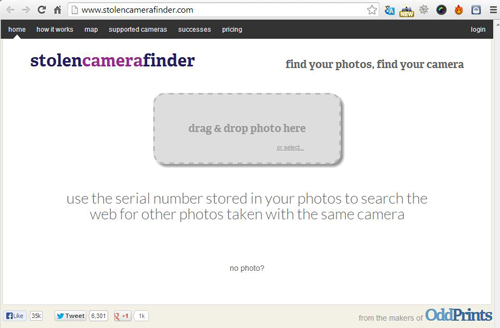 Stolencamerafinder is a free service online to find images taken from your digital or DSLR camera . All you need to do is drag and drop an image from your lost camera on this website and it will search the internet for any images matching your cameras unique serial number . Do check their list of supported cameras to know whether your lost camera is supported or not . 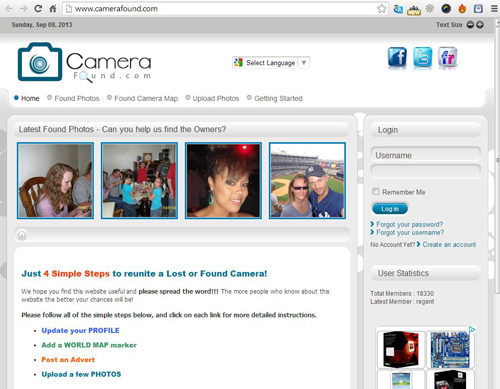 CameraFound is a free service to find photos taken from your cameras online , but its more like of an community of people who report found or missing cameras . In order to use this site you need to register on ti first . once you register on the site you can then update your profile and mark a place on Google map indicating the place where your camera was lost . Next you have to create an advert about you lost camera and upload some photos . Once somebody finds your camera then you will be notified by the website . Cameratrace.com does a similar work like both of the site above but its a paid service . it has an additional feature where if you register for their services you will get an Lost & Found Tag with a unique serial number to put on your camera to help you get it back. just a little more digging into the photos and you might have a picture of your stolen camera’s new owner . If you have your camera’s purchase bill then you can go ahead and take any legal action you want . But do send a message to your camera’s new and illegal owner of the consequences , if he does not return your camera back . We hope you get you camera back without facing any problems .